Land cover data indicates the physical land type, helping to understand the current landscape of an area. 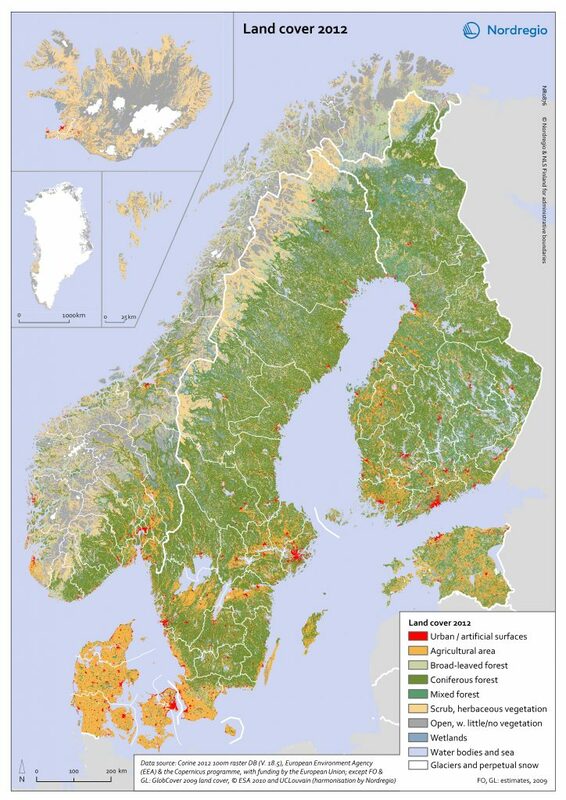 The map of the Nordic Region shows its land cover in 2012, based on data from the European Environment Agency (Corine 2012 raster database). Each of the ten colour indicates one main type of land cover, e.g. agricultural area in orange and urban/artificial surfaces in red. The map is included in the State of the Nordic Region 2018 report. Read more about it here.